I’m sitting outside on my patio and enjoying my second cup of coffee. Without a sweatshirt. Not a cloud in the sky. Azaleas starting to bloom and hostas getting huge. Irises about to burst. Ahhhh. Is this long enough for a blog post? I hope so because I’ve said all I need to say. This entry was posted in Just Blogging and tagged Blog, blogging, home, life, personal, spring. Bookmark the permalink. 16 Responses to Oh, What a Beautiful Morning! Rain in San Antonio? Yay! A beautiful morning is the best medicine in the world! We are deep into autumn/fall here but on Monday we had a beautiful day – coffee and lunch on the patio before the sun went down early afternoon and with it the temperature. Good post. Tomorrow should be the same, and then it gets cooler again. Drat! It’s a perfect post! 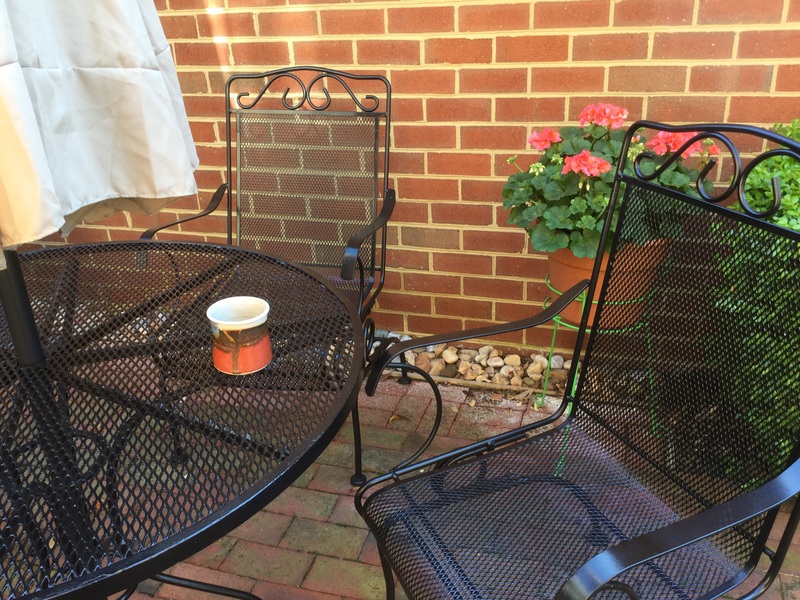 Makes me wish I had a patio to enjoy a second cup of coffee…. but… in a few more weeks I will have a screen porch, a gazebo and a front porch to enjoy! Can’t wait! The last time I saw our new home the daffodils were in full bloom and the hydrangeas were starting to bud and the irises were starting to poke out… Loved this! So happy for you, DAF! You’ll be settled right when the best weather arrives. You’ll be settled just when the weather starts to get good, DAF. So happy for you! Sounds like a perfect way to start the day! Wish it would stay like this. We’re still getting a few beautiful days, and then it gets cool again.